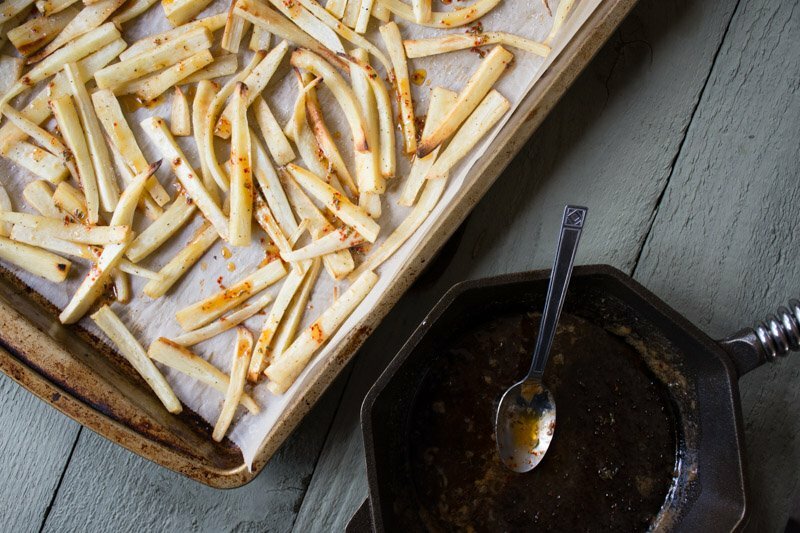 these chili, honey & thyme glazed parsnips have all the characteristics of the perfect cold weather vegetable side dish – roasted until they’re caramelized and soft and sweet, and glazed with a super easy stove top mix of butter, honey, dried chili, thyme and a bit of vinegar. I tweaked it just a tiny bit from the original recipe which can be found here, at bon appetit, by adding some fresh thyme to make it a little more festive and thanksgiving-y and adjusting the cook time. if you follow these fundamental rules of roasting veggies you’ll have no trouble with this recipe at all. 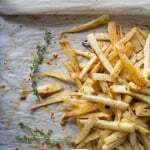 the only other part of this recipe is the glaze, which comes which comes together chop-chop in a small pan on your stove top, and is then drizzled over the parsnips and tossed just before serving. 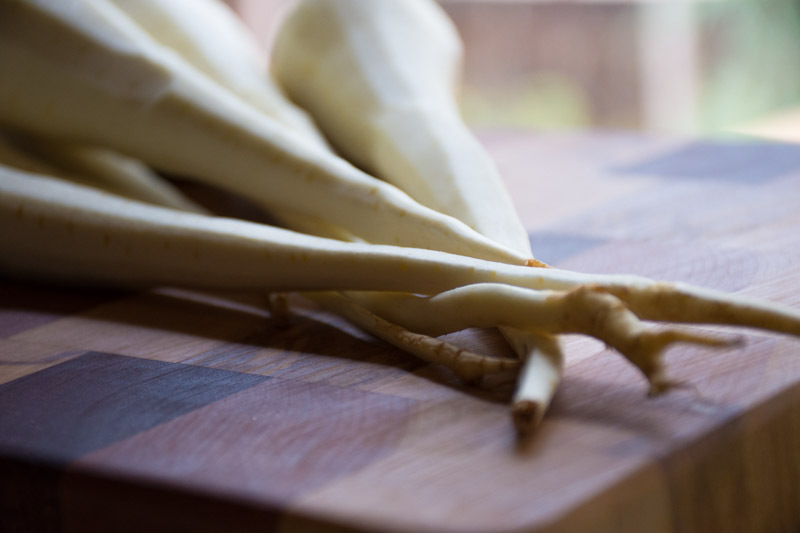 these are great served on their own as a tasty side dish but I’ve had some daydreams of making a healthy meal out of them by tossing with a cooked whole grain (farro, spelt or brown rice) caramelized onions, a sautéed hearty green and a sprinkle of sesame seeds. 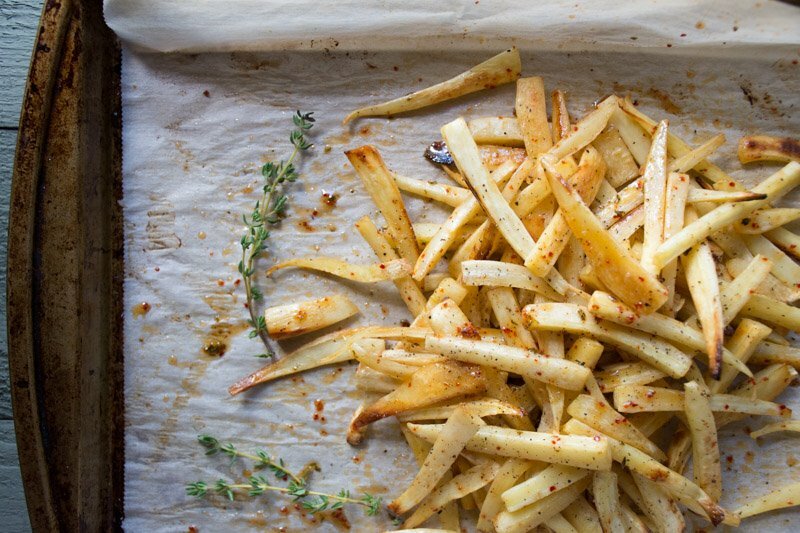 line a baking sheet with parchment paper and toss cut parsnips with olive oil, a few generous pinches of sea salt and a few grinds of black pepper. move to the oven and set a timer for 25 minutes. 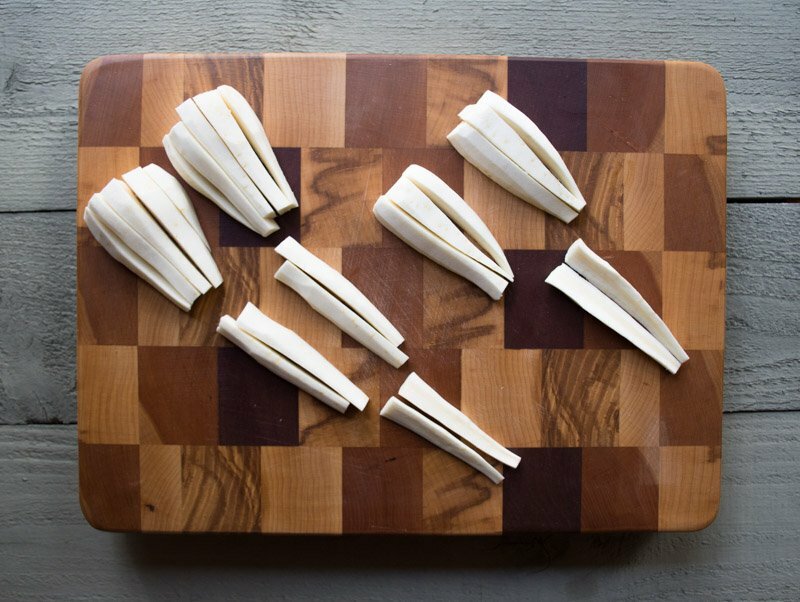 while parsnips are roasting prepare chili honey thyme glaze. 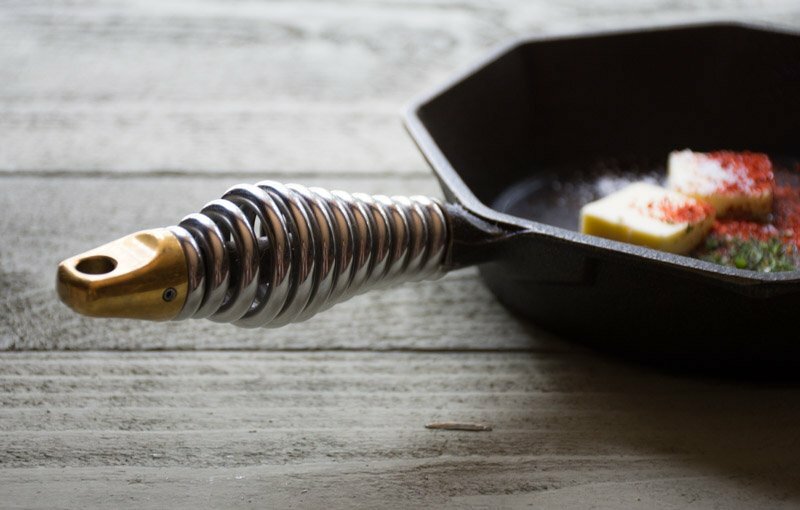 add butter, honey, chili flakes, and thyme to a small sauce pan over medium low heat. melt, stirring to combine. once everything is melted and it starts to simmer add 1 tbs apple cider vinegar and cook for one more minute. 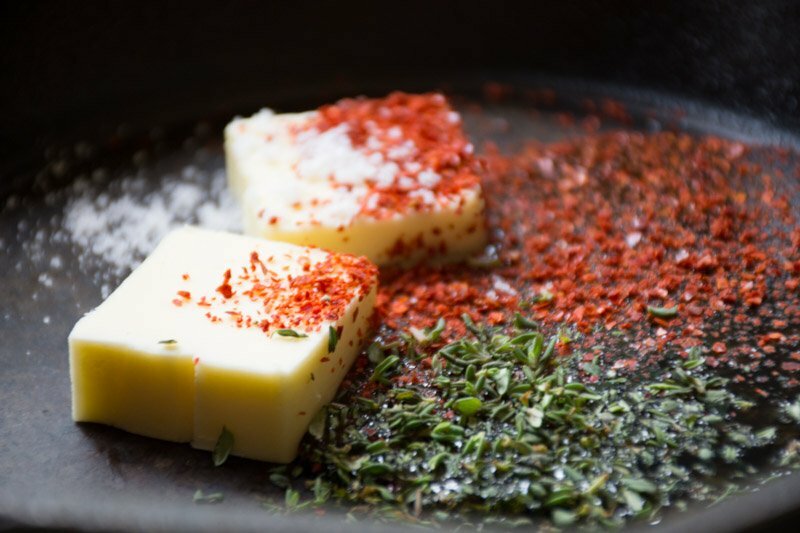 if you’re butter is unsalted add a pinch of salt, if it’s salted you can leave it out. turn off heat. 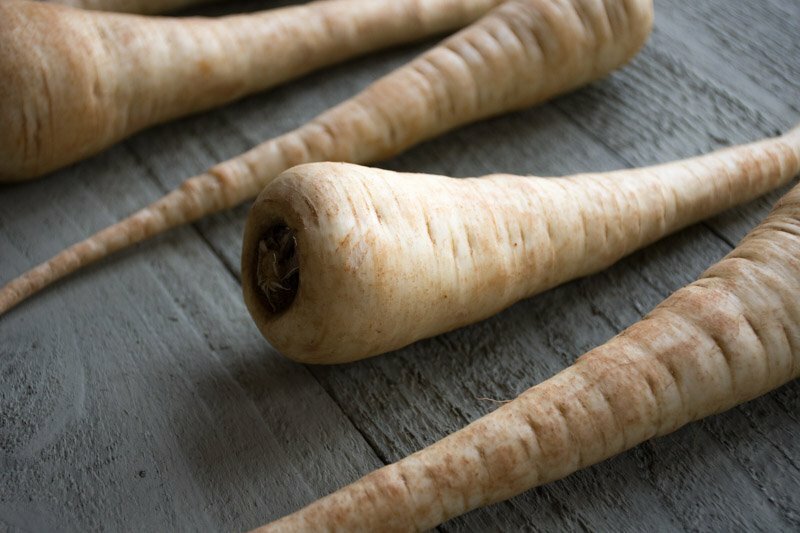 after 25 minutes remove parsnips from oven and toss. return to the oven for another 5-10 minutes, or until tender and deep brown in some spots. once done remove from oven, and when ready to serve drizzle with glaze, toss, taste for salt and serve. you can keep the glaze warm over very low heat until you’re ready to serve, however I do recommend serving shortly after glazing otherwise it will start to solidify at room temperature.